I’ve been following the development of Nemesis quite closely over the last couple of years. I first spoke to the game’s designer Adam Kwapiński way back in 2015 at Essen, when he explained the concept of a game he was developing where players wake from hyper-sleep to find their ship floating adrift in the celestial void and infested by slime covered aliens. I was hooked. Fast forward to the UK Games Expo 2017, and I got to see a prototype of Nemesis. 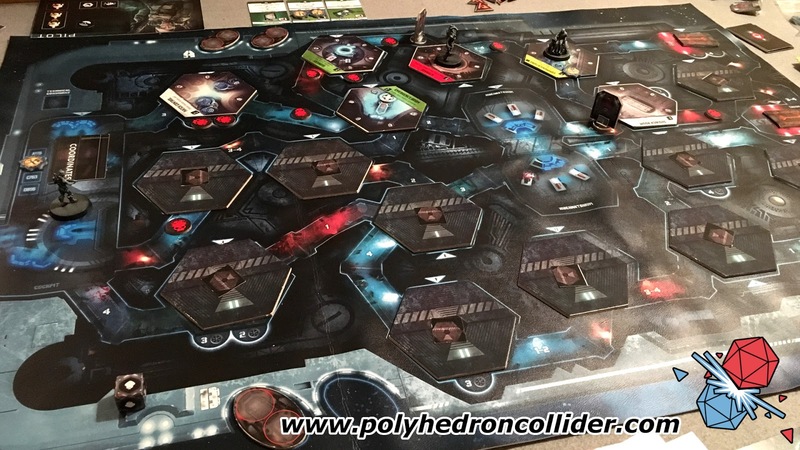 Unfortunately, I didn’t get a chance to play it then, but now—thanks to Matt from Creaking Shelves—Andy and I have managed to get a couple of games in of Awaken Realms’ science fiction survival horror game. The aim of the game is to get home, ensure the navigation computer is pointing in the right direction, make sure the engines are working and get back in the hibernation pods before the ship jumps to hyperspace. I think. One of my initial problems with the Nemesis prototype is that although the rulebook is by no means awful, it appears to leave a lot of aspects of the game open to interpretation, and appears to be missing some rules completely. Now we are talking about a prototype game here, so it’s understandable that this is by no means the final rulebook, but it does make providing my thoughts on the game rather problematic. On top of the basic objective, each player is provided with a secret objective to complete before tucking up safely in the hibernation pod, or before quite literally jumping ship in one of the escape pods. Some of these objectives can be completed in line with the group’s purposes, but others are at odds with the rest of the players, such as having the ship jump to a different location or even ensuring that a fellow crewmember doesn’t make it home alive. Straight away there is an air of mistrust. Whereas you should be working as a team to survive, our first game involved everyone scattering to the nine vectors in an attempt to complete their goals. I’m not entirely sure what the designer’s intent was at this point. We felt that because everyone was up to something we had to work alone, when in hindsight our chances of survival would have been better if we had worked together. Which is a major hint to how our game ended; in a bloody mess splattered all over the aluminium tread plate floor. 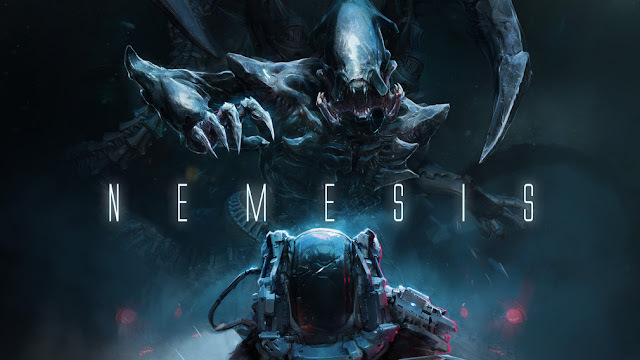 Death in the form of a giant slimy tooth filled alien is never far away in Nemesis and half of your game will be spent just attempting to stay alive. As you move around the USS Nemesis, you will hear evidence of the aliens scuttling around in ducts and service hatches, these ominous sounds are represented by noise tokens that get randomly placed as you explore new areas of the ship. Rather than representing how much noise you as players are making or how stealthy you are, they represent just how much danger there is in moving through certain rooms. This mechanic is really cool, random, but definitely cool. About two thirds of the way through our ill-fated mission, there were areas of the ship covered in noise tokens, telling us that the aliens (or intruders as the game calls them) were making more noise than my next door neighbour putting their bins out at 6am on a Monday. Moving into that area would have guaranteed that an alien would burst out of a duct and no doubt tear us apart. Unfortunately, that room was the med-bay. The major point in Nemesis’ favour is that it really does nail the survival horror aspect. With alien attracting slime, panic, parasitic contagion, sparse ammo and very few hit points, the chances of survival are slim. Saying this game is hard is an understatement, as death can sometimes be instantaneous. The level of stress makes Fantasy Flight Games’ range of Cthulhu mythos games look like Ticket to Ride. As an example, my character was lightly wounded and encountered an alien. Drawing from the bag I encountered the queen, a preposterously large and fearsome model who then proceeded to insta-kill anyone who had at least one wound. Through little fault of my own, I was out of the game. And this is the major problem with Nemesis, as it currently stands; instant death and player elimination. 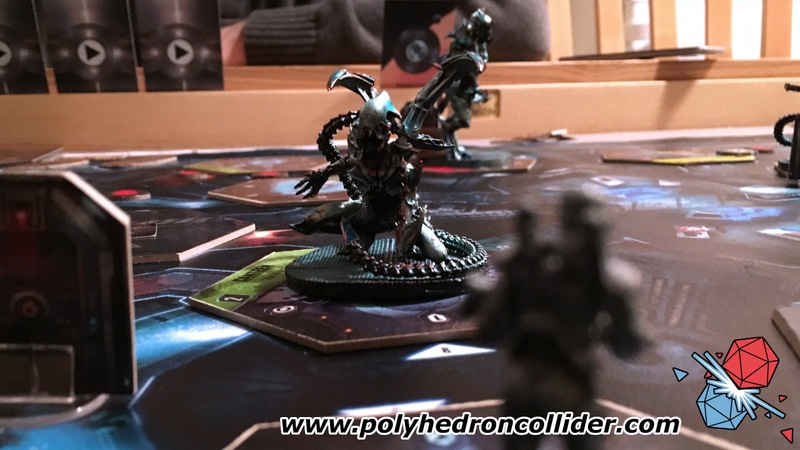 When talking about the game at UK Games Expo it was hinted that killed players would the control the aliens, but the prototype version has no such rule, it also has no rule to cover what happens if a player legs it off ship via the escape pods. As an example, Andy was killed in turn 4 of a potentially 15 turn game (it ends up we all died in turn 7) and was left twiddling his thumbs (or in reality faffing with his phone). I assume this will be fixed in the final version of the game, but who knows. This leads to another potential issue, game length. If you’re going to play Nemesis, you are looking at Eldritch Horror levels of game time. Now personally I am not turned off by this aspect, I love being able to sink my teeth into a game, and just under two hours to get to turn 7 didn’t drag for us. However, we were playing with 3 players and there is a worry that with 4, or the expanded 5 player game, this game could drag on a bit. So where does this all leave us? At the beginning of the Kickstarter campaign all three members of the Polyhedron Collider podcast team were backing this project. But I don’t think this game is good enough to be a ‘3 for 3’ award, it is certainly true that after playing the game there is no need for us as a group to own several copies of this game. Andy, our resident Kickstarter addict, has cancelled his pledge. On the plus side, I think Nemesis absolutely nails its theme of science fiction survival horror. It’s dark, it’s gritty and it’s bloody difficult. In order to survive you’re going to have to tool up and heal often and splitting up will to end in a bloody mess. However, it would be remiss of me not to highlight Nemesis’ flaws and I can't help but feel a little disappointed. It’s long, it’s random, and it’s downright unfair in places. The game often lacks direction as you are quite literally fumbling around in the dark trying to work out what to do, something that isn't helped by the differing personal objectives. 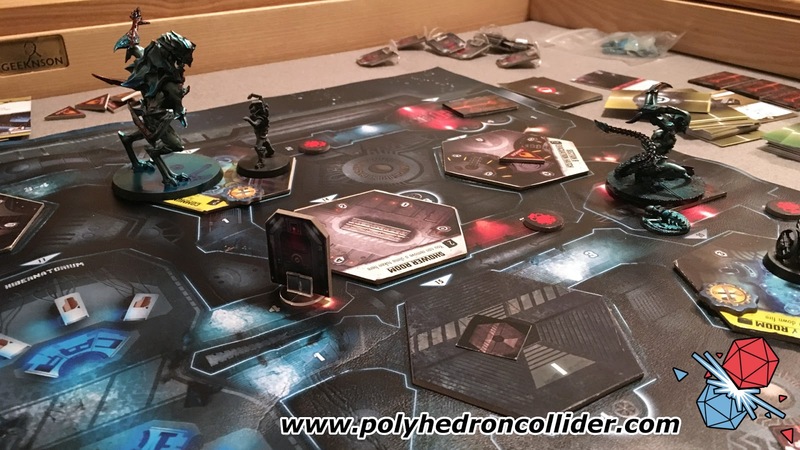 The rulebook could do with clarification in a number of areas, especially in the most fundamental aspect of how you finish the game (we’re still not sure if we could just go sleep in the hibernation pods or we had to wait out clock). But I want to play this game again, there is definitely still the draw of Dead Space, Alien or System Shock in table top form and Nemesis succeeds in capturing the sense of dread in the knowledge that not everyone is getting out alive. 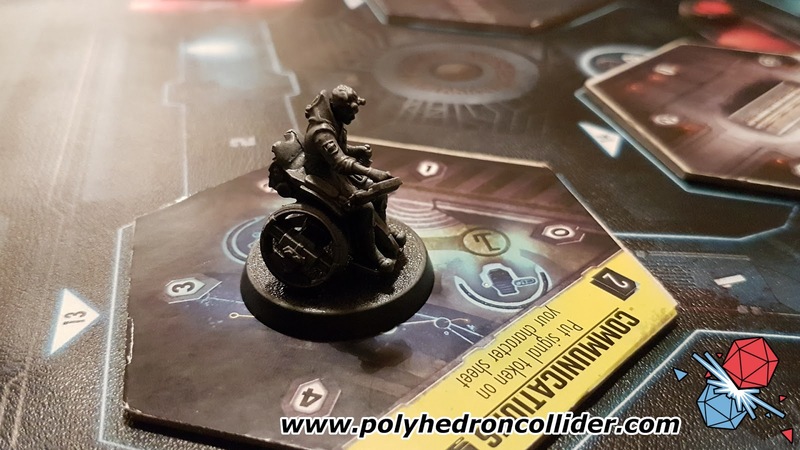 At the time of writing I am keeping my pledge, I‘ve just got to put my faith in Adam and Awaken Realms improving the rulebook and ironing out some of the glitches. Nemesis has but a few days left on Kickstarter.